Apatura ambica garlanda Fruhstorfer,1913 : in Seitz, Grossschmett Erde. 9:700. TL. Upper Burma and Shan States. Mimathyma ambica miranda ; Nakamura & Wakahara,2012 : 47. Mae Hong Son : 1♂. Chiang Mai : 12♂ 3♀ (incl.photo). 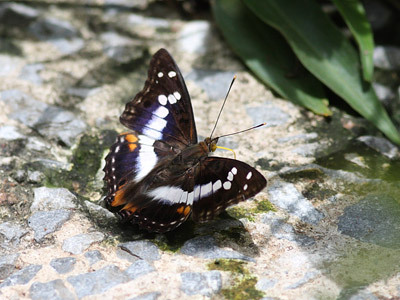 Nakhon Nayok : 1♂ (photo by M.Hayashi). 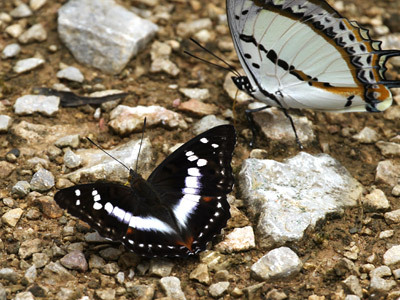 Oudomxai : 1♂ 1♀ (photo by H.Onodera). 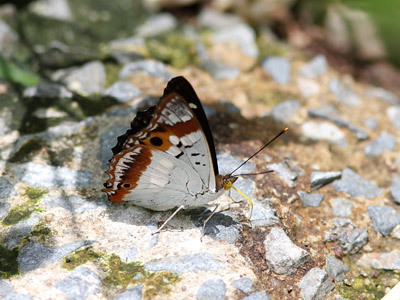 Examples of S.E.Thailand, the orange markings on the UPH tends to be conspicuous as Kimura et al.,2016 pointed out. 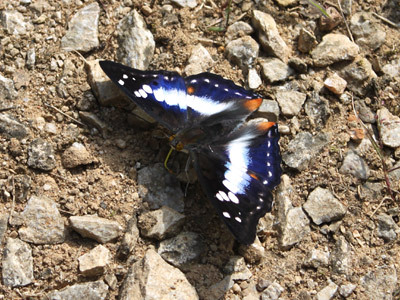 Fruhstorfer, H.,1902 : Neue Lepidopteren aus dem Indo-Malayischen Gebiet. Deut. ent. Zeit. [Iris] 15(1):169-178.